If you are a Frozen movie fan then you must have this 3 in 1 combo pack containing Anna, Elsa and O.. The Ideal Starter Pool for Small Kids and Babies Colorful Base and 2 Air Chambers,Rings with Double.. Enjoy swimming in the lake or pool with this durable Goggle, Nose Clip and Earplugs. Goggle provides.. If your kid loves accessorising then pair of Disney Ariel Sunglasses would be an ideal pick. It is t.. 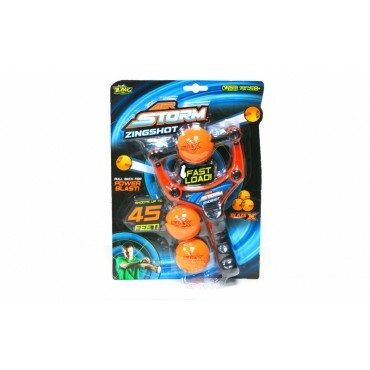 The Air Storm ZingShot is the ultimate foam ball launcher! Compact pocket size for fun on the run! Load up with BlazeX foam ammo, pull back then......READY, AIM, FIRE! Blast targets from over 14 metres (approx. 45 feet). 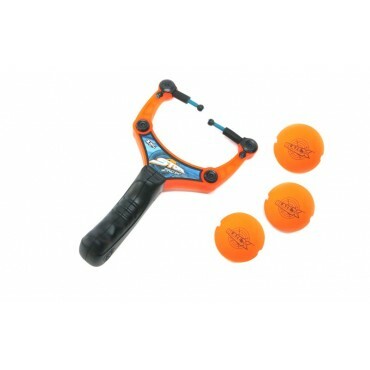 The patented launching system is specially designed to only shoot BlazeX foam ammo.